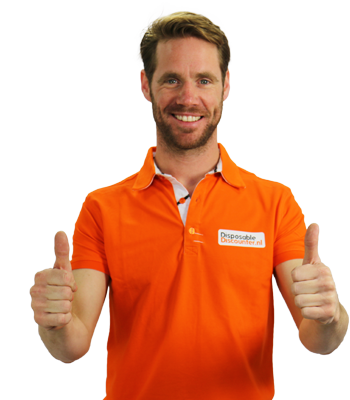 We are a modern webshop and therefore we offer you several payment methods. Our payments run through MultiSafepay and purchases on account via Billink*. We will clarify the possible payment methods below. This is the most common payment method used for the Dutch customers ordering online. After filling in the shipping data, you are re-directed to the online bank environment of your own bank. The information of your order has automatically been taken over. After your confirmation, you will pay the invoice from your own account. Payments via iDeal are free of charge. Advance payment by bank? In that case, you will receive an e-mail with an e-mail from MultiSafepay with a link to wire the amout to our account. In the e-mail, a reference number and bank account number can be found, that you can use for the money transfer. We will send your order, as soon as your payment is received. The delivery times could increase, as a money transfer between two different banks could take a while. Advanced payments by bank are free of charge. Many of our customers find it convenient to see the products before they pay them and this payment method fits those wishes. Billink executes the full payment process on account for Disposable Discounter. This means that you will receive a digital invoice of Billink with the request to pay the products. The private clients can buy up to 500 euros on account. For approval of the request to pay, Billink conducts a data check. It might happen that these data are negative, which would mean that you are, at the moment, not able to buy on account. Billink conducts a data check based on name, zip codes, and cities. For purchases on account, we charge a fee which you will see when checking out. You will receive the invoice and payment instructions via e-mail after you have received the package. You have 14 days to settle the payment. Take a look at the terms of payment of Billink here. 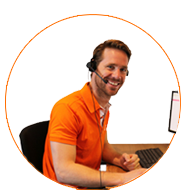 Do you have any questions, you are always able to contact Billink. If you wish to have more information, we refer you to the Billink website. Note: This payment method runs via Billink. Billink conducts a credit check. In the case of a non-authorised request of payment, we suggest contacting Billink. Payment via credit card is also possible. We support American Express, MasterCard, and Visa. We charge 2,50 euros for payments via credit card. One of the best-known online payment methods is PayPal. 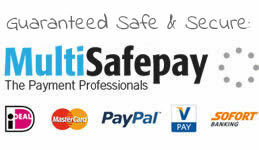 Choose Paypal on our check-out page and you will be redirected to PayPal. After logging in, you will pay by confirming. We also support PayPal Express. This is an even faster way of payment via PayPal, where your shipping information is taken over automatically by PayPal. At the shopping cart, choose direct payment by PayPal and you will be redirected to PayPal. The information of your order will directly be taken over and you can directly transfer the money via PayPal. SOFORT Banking is a popular payment method in Germany and is also used in over 10 countries in Europe. Your customers enter the credentials to their online banking system into the SOFORT environment after which the payment is transferred. A separate SOFORT account is not required. In Germany SOFORT is one of the best known payment methods and is indispensable for anyone servicing German customers. Payments has never been easier! You can use your own online banking login details; convenient and secure.